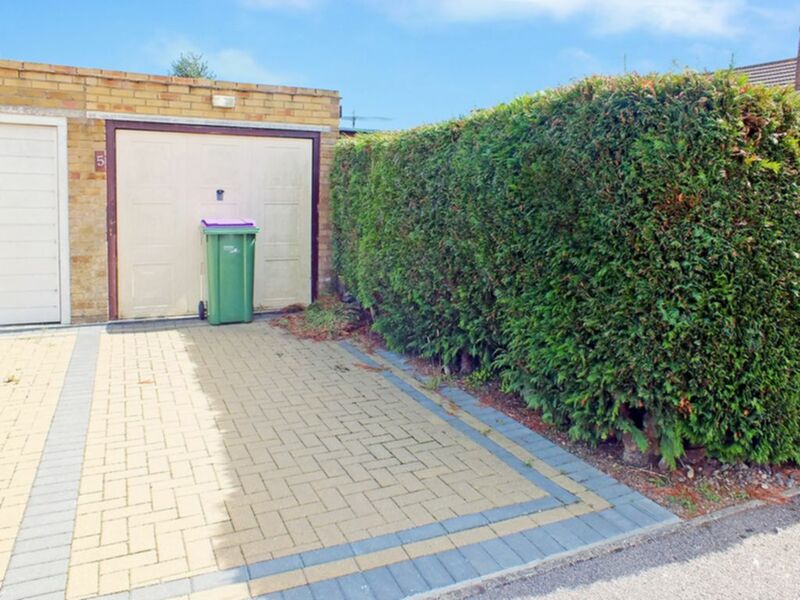 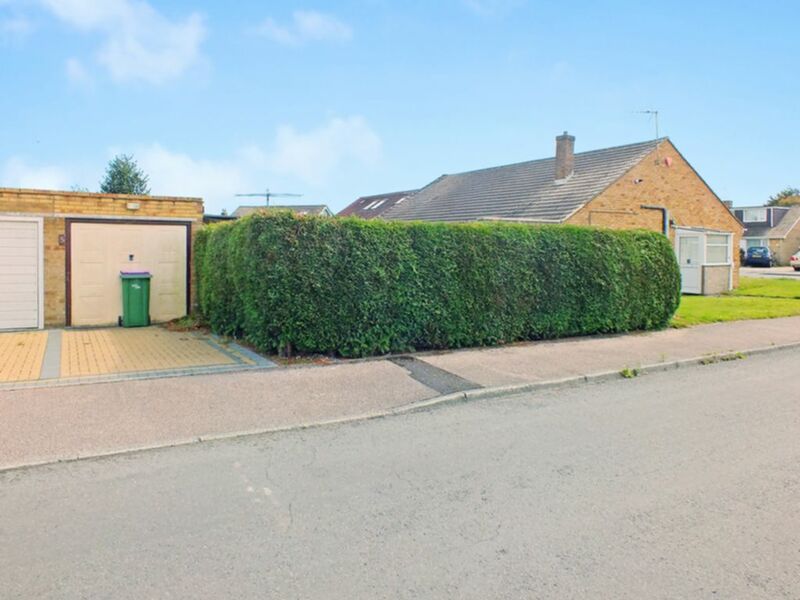 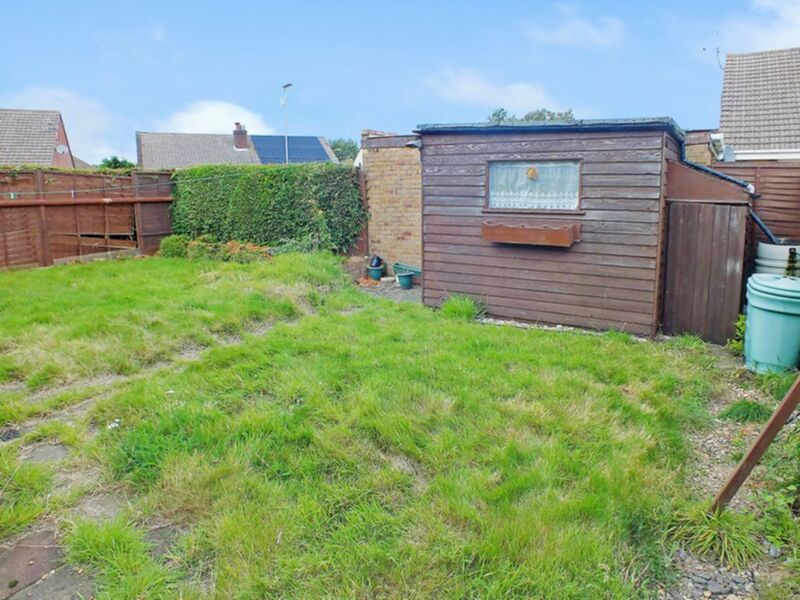 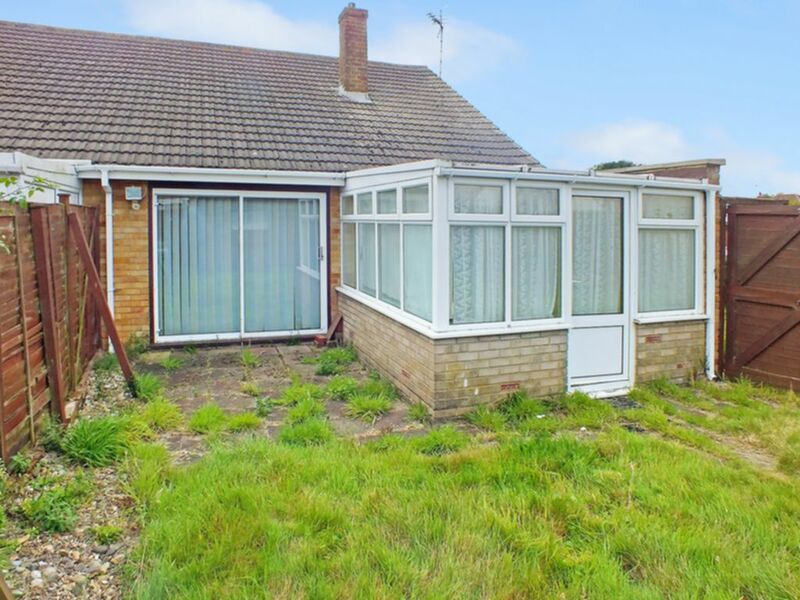 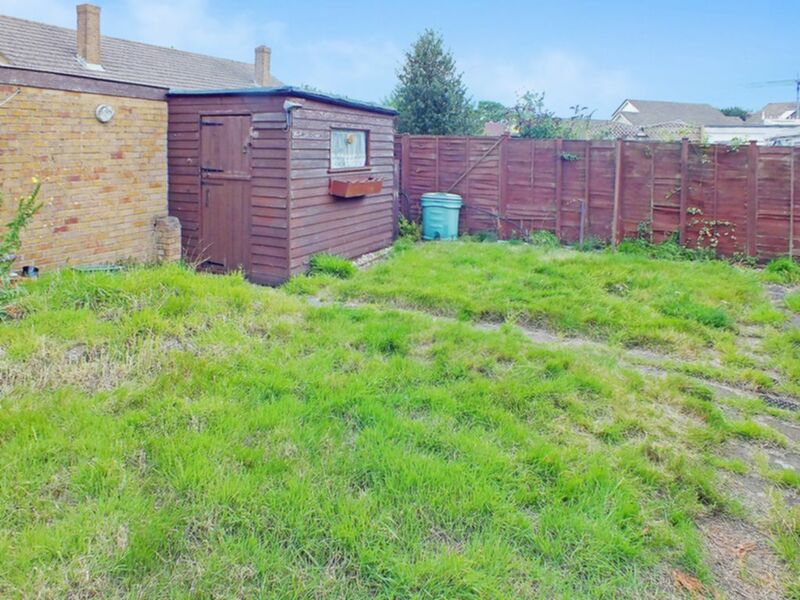 This modern semi detached bungalow benefits from a pleasant corner position within the Minter Close cul-de-sac development in the semi rural location of Densole, a village with great access to Folkestone and Canterbury both reached by regular bus service, and the M20 motorway being just 3 miles away. 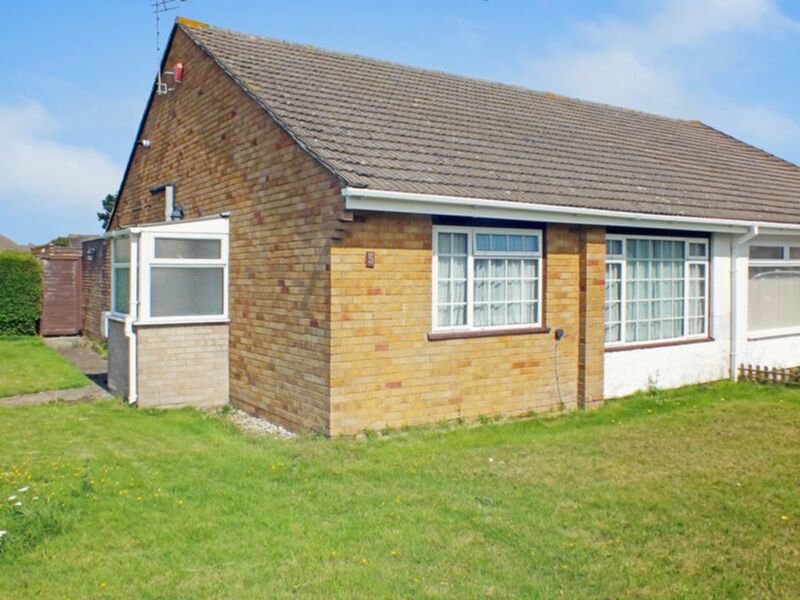 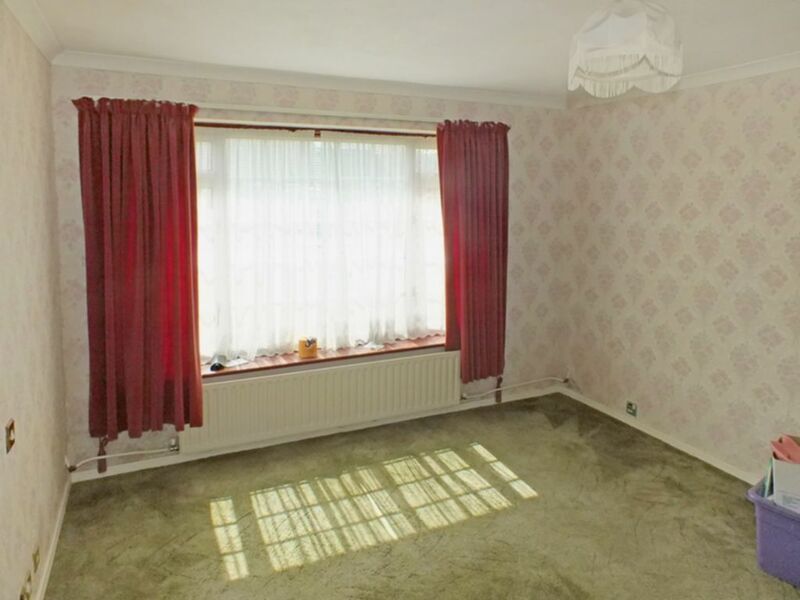 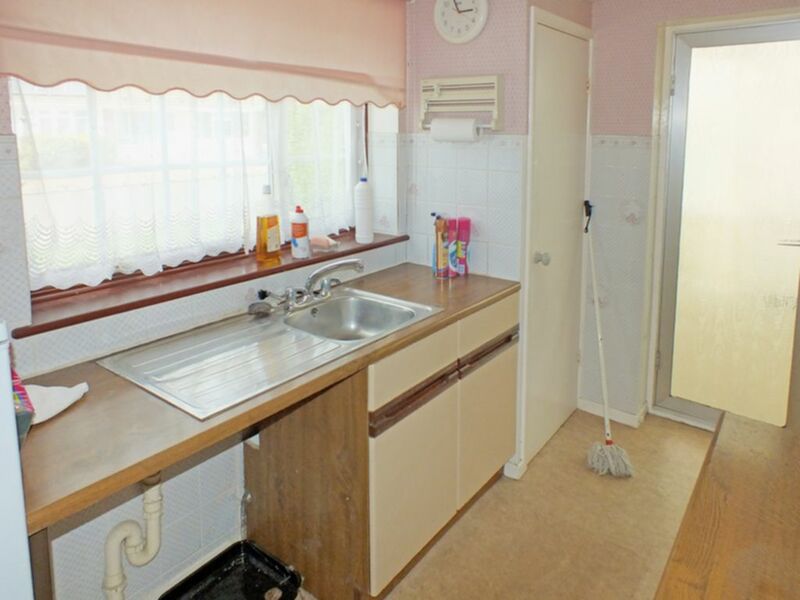 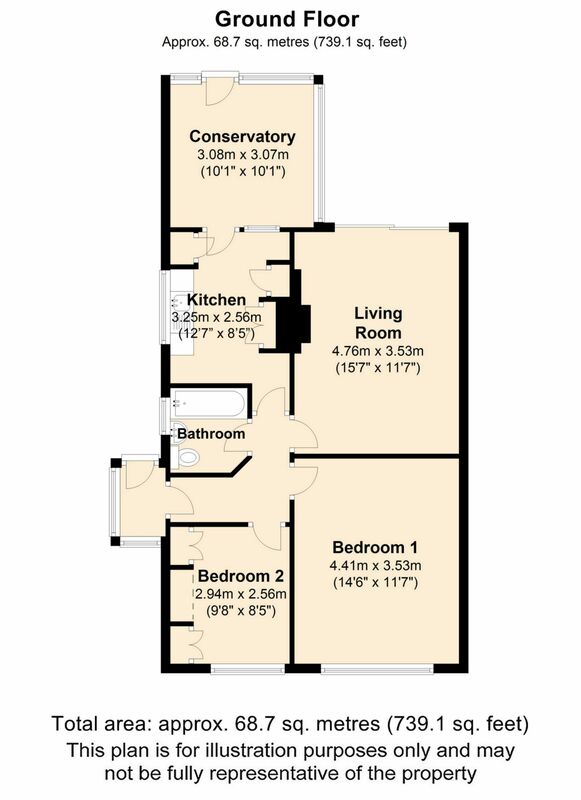 The bungalow is of traditional brick elevations under a pitched tiled roof and with the benefit of UPVC replacement double glazed windows, Georgian style to front, and also with rear conservatory. 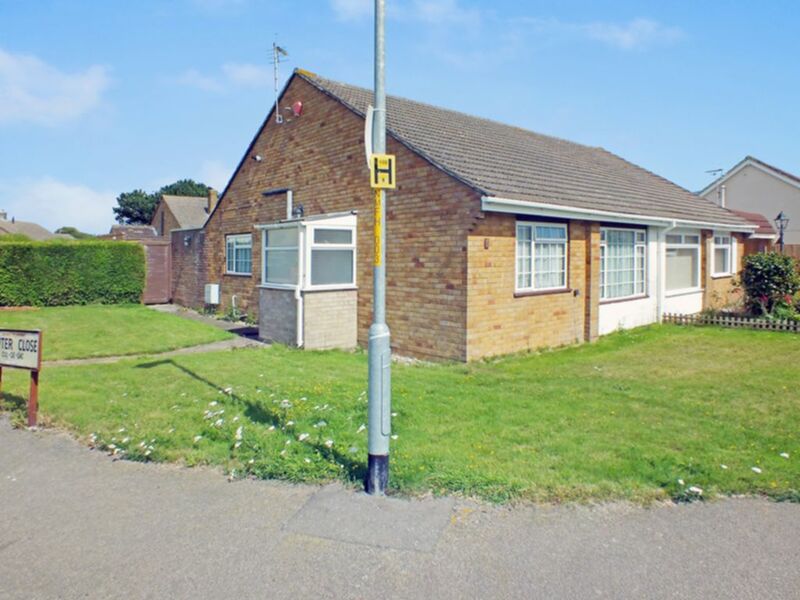 The bungalow now offers an excellent opportunity for the further modernisation now required and the accommodation comprises. 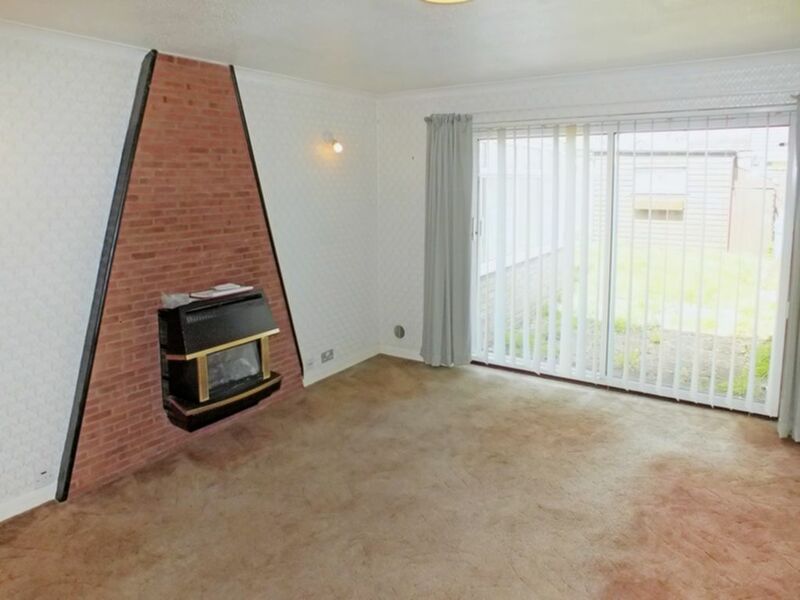 Having brick fireplace feature with fitted gas fire, sliding UPVC doors to rear patio and garden. 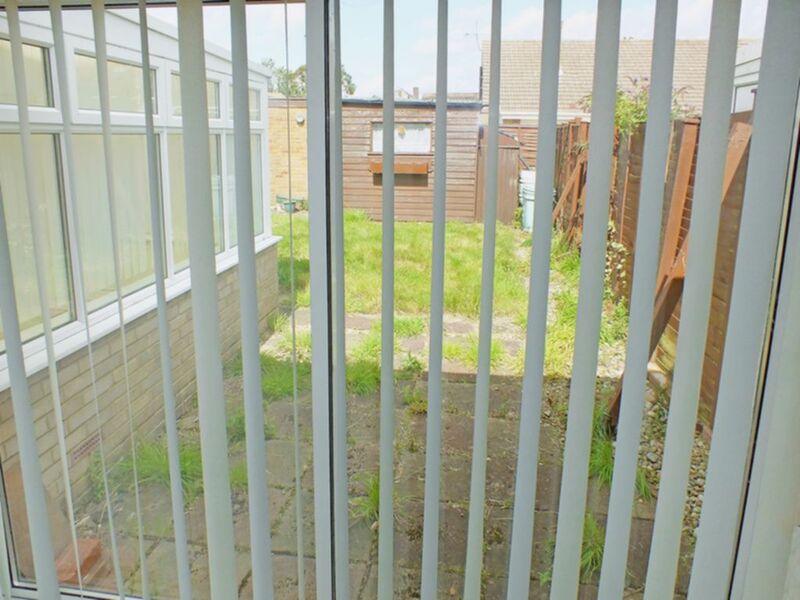 UPVC double glazed on brick base and with polycarbonate roof and having door to rear garden. 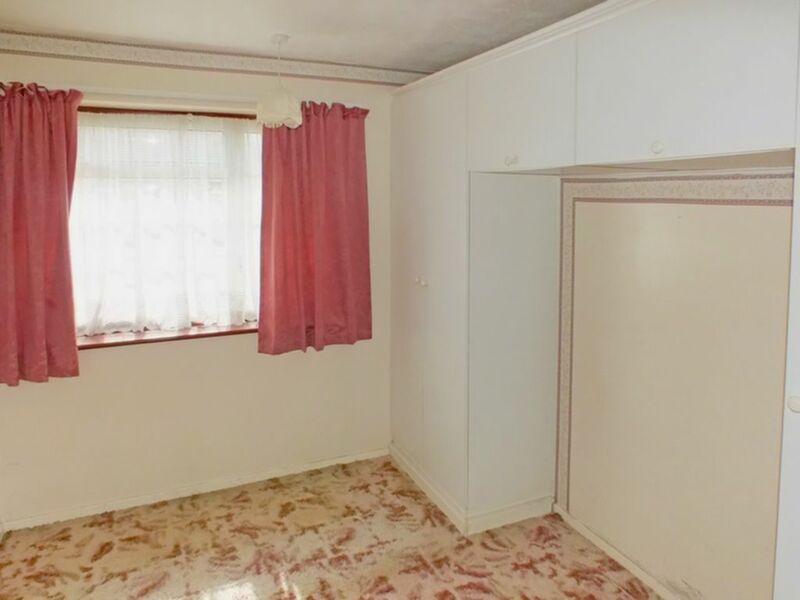 Having fitted cupboards to bed recess, double radiator. 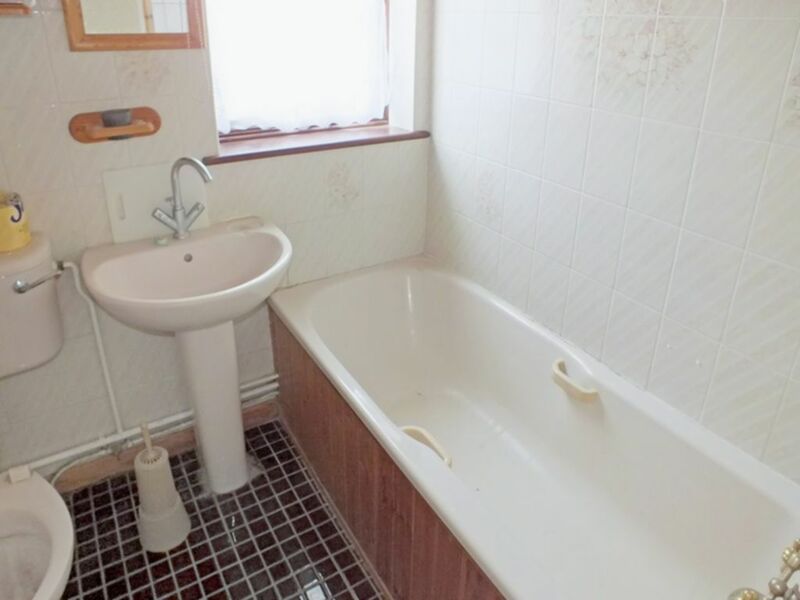 Having panelled bath with mixer tap, pedestal basin, low level W.C., boarded ceiling with inset spotlights, fully tiled walls and floor, radiator. 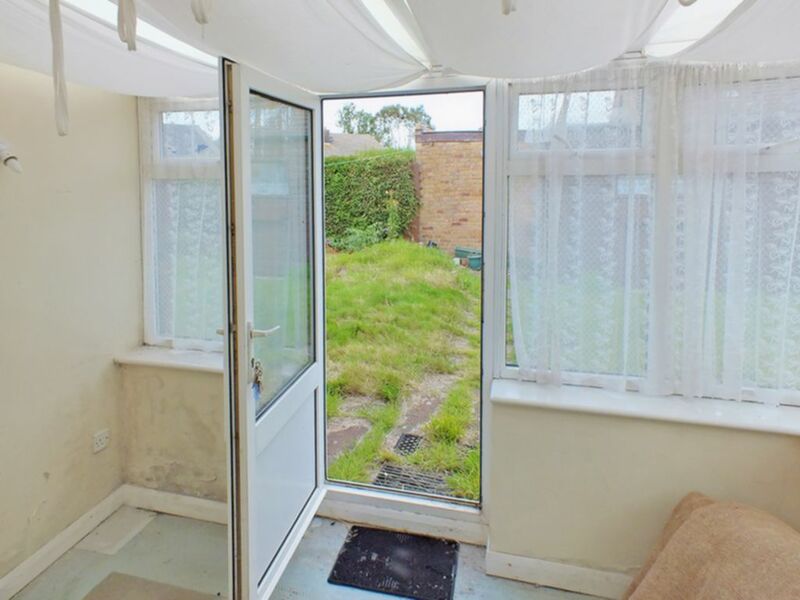 With connecting door through to rear garden.